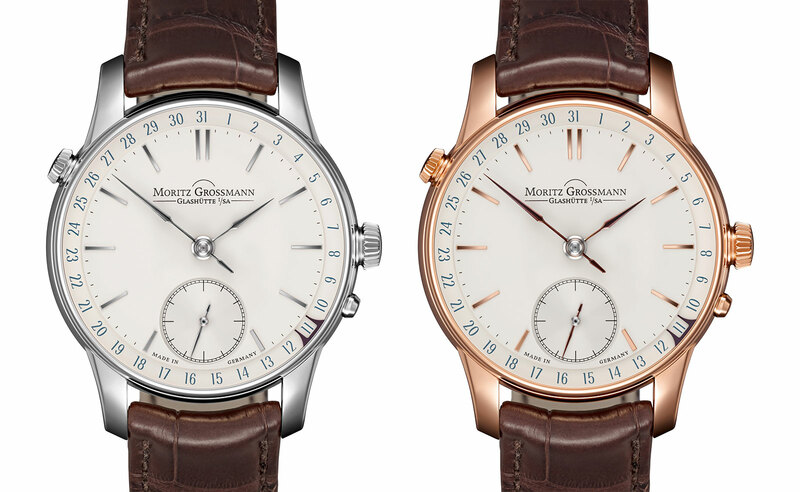 Moritz Grossmann does high quality movement construction, so its very first date mechanism is no simple affair. Based on the time-only Atum wristwatch, the Atum Date indicates the date discreetly via a jumping bracket on the perimeter of the solid silver dial, keeping it quite separate from the time display. The date numerals are in a pale blue, set against a recessed track. 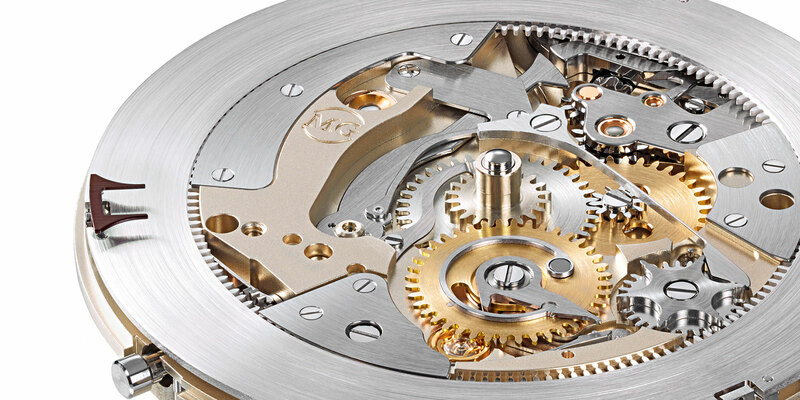 Integrated into the base plate of the movement – the mechanism is not merely a module on top – the date relies on a switching lever with a tension spring and a star wheel that move the date disc every day. Setting the date requires pulling out the crown at 10 o’clock, turning it in either direction to set the date forwards or backwards. Once the crown is put back into position, the date mechanism is disengaged, preventing accidental movement of the date indicator. The calibre 100.3 inside the Atum Date is based on the time-only calibre 100.1 inside the Atum. 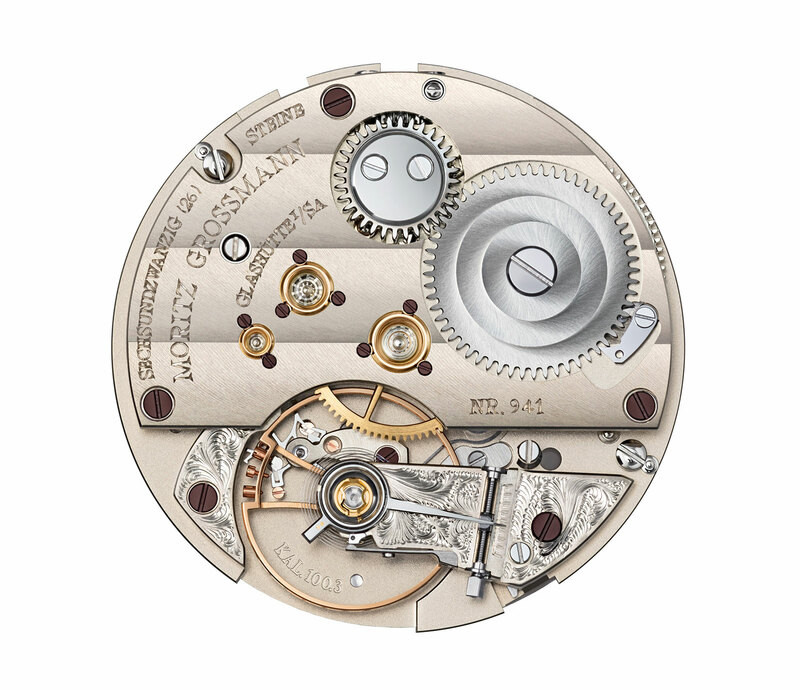 So while the calibre is new, it shares the same key features of the basic model, most notably the stop seconds. 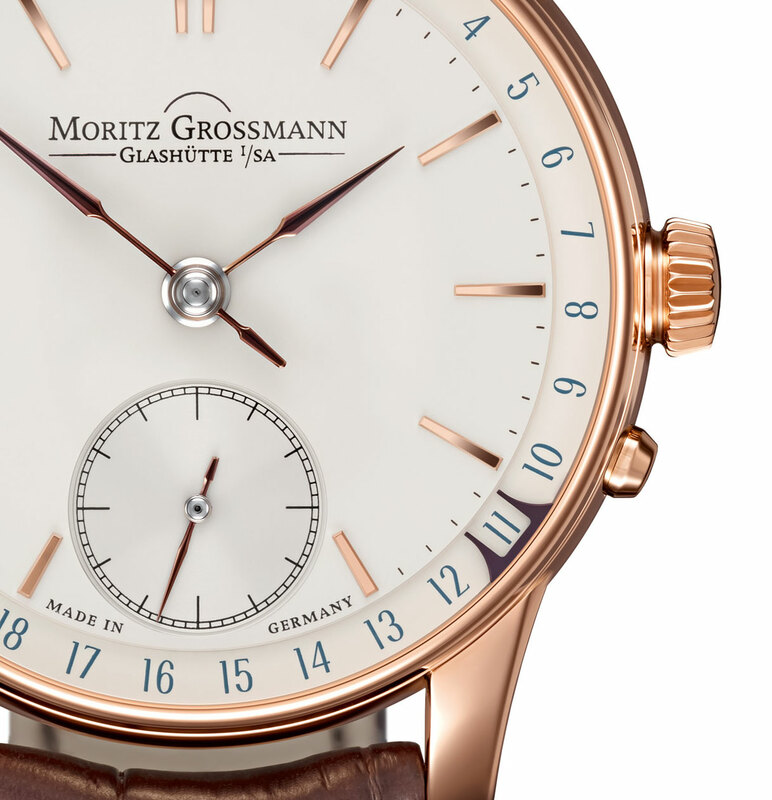 Patented by Moritz Grossmann, the stop seconds engages when the crown is pulled to set the time. Once set to the time signal, a pusher at four o’clock restarts the seconds, allowing for a more precise time-setting. 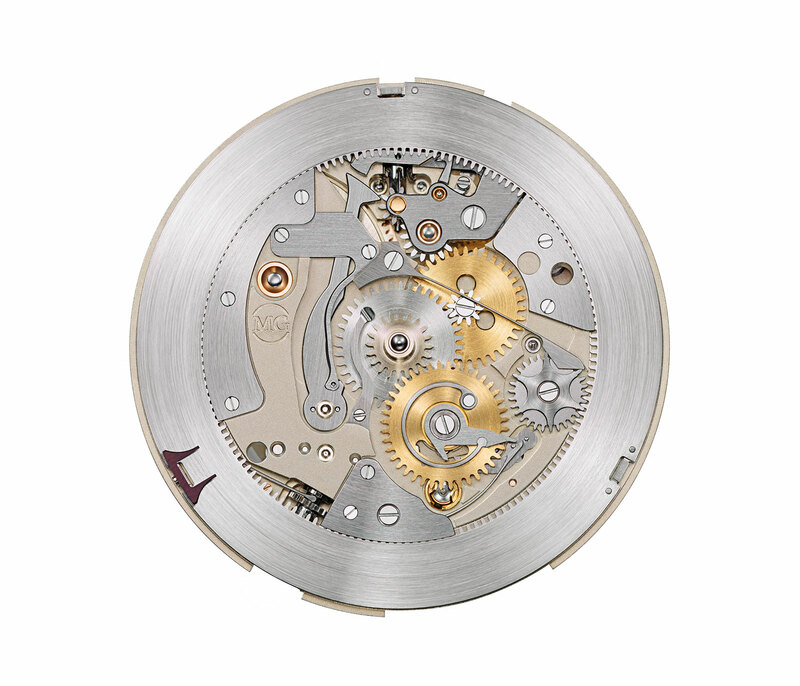 Typical of Moritz Grossmann, the movement is heavily inspired by vintage pocket watch calibres and beautifully finished. The bridges and base plate are German silver, while the barrel ratchet is decorated with snailing. Jewels are clear rubies secured by gold chatons, while the steel screws have been heated till a violet-brown. And the balance wheel is an in-house creation that’s oversized and equipped with adjustable masses for regulation. The Atum Date is available in 18k white or rose gold, both 41mm in diameter. On the rose gold model, both the date indicator bracket and hands are steel that’s been heated till it turns the violet-brown colour that’s a trademark of Moritz Grossmann, which is also the same treatment for the screws on the movement. On the white gold version the hands are finely made but a less interesting polished steel. 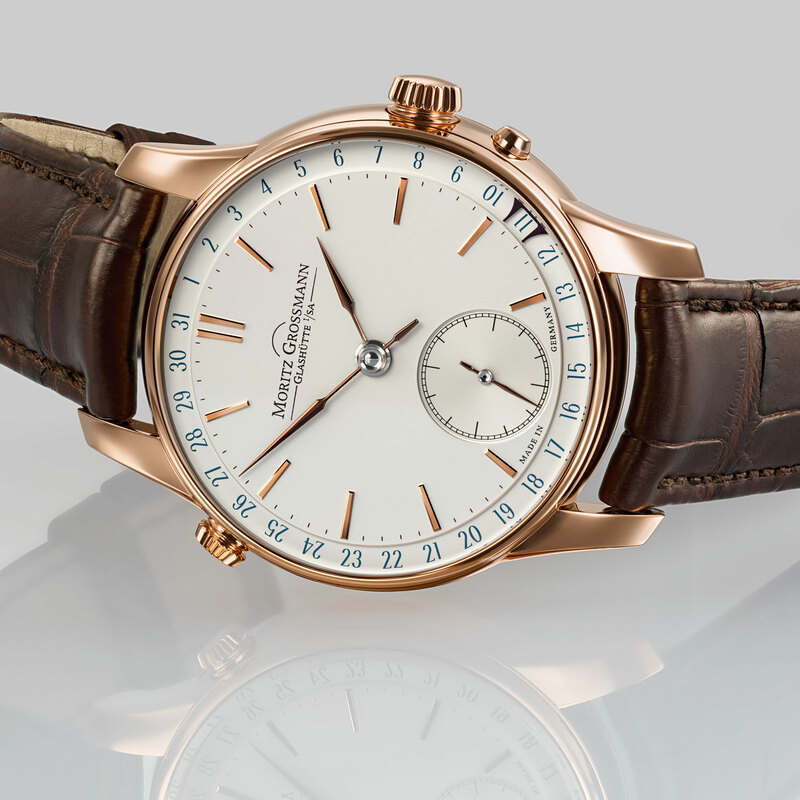 The Atum Date is priced at €31,900 in rose gold and €32,900 in white gold.